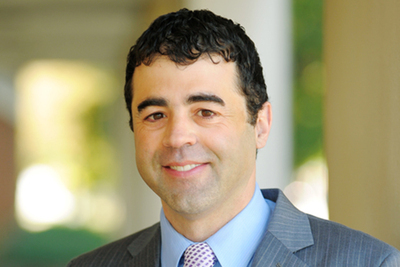 No provision of the Constitution prohibits President Trump from pardoning himself, although the threat of impeachment should function as a check on his clemency powers, said Jason Mazzone, the Lynn H. Murray Faculty Scholar in Law and co-director of the Program in Constitutional Theory, History, and Law at the University of Illinois College of Law. Jason Mazzone is the Albert E. Jenner Jr. Professor of Law and director of the Program in Constitutional Theory, History, and Law at the University of Illinois College of Law. He spoke with News Bureau business and law editor Phil Ciciora about the limits of presidential pardon powers. Can sitting presidents pardon anyone they please, or are there limits to the clemency powers? Article II, Section 2 of the Constitution gives the president the power to “grant Reprieves and Pardons for Offences against the United States, except in Cases of Impeachment.” The power is therefore not absolute: It does not extend to violations of state laws and it cannot be used to undo or block impeachments. But those are the only limits the Constitution specifies. The president is therefore otherwise free to pardon anybody –including friends, family members and co-conspirators – for any violation of federal law and for any reason he chooses. No provision of the Constitution prohibits the president from pardoning himself. That might seem to be an oversight. There are many questions in political and social life that we might want the Constitution to address but upon which it is silent. The omission might also be deliberate. It is no accident that the pardon power excludes impeachments. Just as the president has a broad power to pardon, Congress has a broad power to impeach. Congress can remove the president from office for behavior that, in Congress’ own judgment, involves “Treason, Bribery, or other high Crimes and Misdemeanors.” Nothing stops Congress from exercising its impeachment power if it determines the president has abused constitutional norms, violated public trust or misused the authority of his office. The threat of impeachment checks the president’s use of his pardon powers. It is no accident that no president has ever pardoned himself. Can a president pre-emptively pardon someone or issue a pardon for life? A pardon is retrospective. It covers conduct that has already occurred. There need not yet be a trial or even the beginnings of a criminal prosecution. One of the main benefits of a pardon is to lift the burdens that prosecution involves. But the beneficiary of the pardon has already done something that could at least subject that person to prosecution. A pardon does not therefore authorize somebody to commit crimes in the future without risk of penalty. It is not a license to kill. Do pardons cover all crimes or are they more specific? A pardon can be as broad as the president wants to make it. It might be limited to specified actions and crimes. It might be more general. Where it is not clear which laws have been violated or which charges a prosecutor might bring, the pardon will typically sweep broadly. For example, Gerald Ford’s pardon of Richard Nixon absolved the former president of “all offenses against the United States which he ... has committed or may have committed or taken part in” from the date of Nixon’s inauguration in 1969 to his resignation in August 1974. Is the Supreme Court the ultimate arbiter of the scope of the president’s pardon power? If the issue of a self-pardon were to reach the Supreme Court, would that, in effect, create a constitutional crisis? President Trump could issue himself a pardon tomorrow. The real question is what the legal effect of the pardon would be down the road if the president were prosecuted and raised the self-pardon as a defense. Lots of things would need to happen to reach that point. There is a very strong constitutional argument that no president can be prosecuted while still in office. Any prosecution and issue of the validity of a pardon would have to wait until the president is no longer in the White House. Whether at that point a federal prosecutor would bring charges against a former president is not at all certain. Perhaps the courts would ultimately have to decide if something that looks like a pardon is legally valid. Whatever answer the courts reach, it would not spell the end of the republic. The more interesting question in all of this is whether any of the states will seek to bring criminal charges against administration officials (or former officials) for violations of state laws. The president’s pardon power simply doesn’t reach those prosecutions.